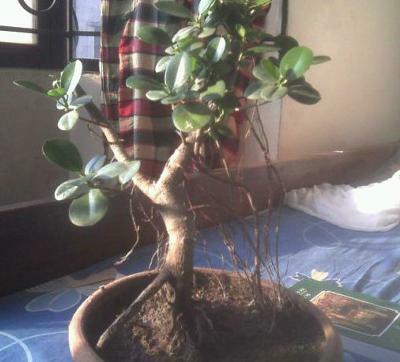 it is about 3 years,6months ago I repott it on bonsai plate.so have a look on my bonsai and give me some suggetion.thanking you. Looks like a green island fig. Clean off the aerial roots to tidy the trunkline and level and smooth the soil surface and your there.